A pair of gorgeous Kolhapuris can up your footwear game in no time. Essentially coming in tan colour, you'll now find a sea of change with artisans adding modern and chic elements to these. Score these lovelies from these stores and pair them with your fave kurtis. This tiny store in Narayan Peth has collection for men as well as women. If you are looking for traditional pairs for reasonable rates, this is the place to be. Starting at INR 400, you will find beautiful pairs in tan brown or basic colours. The prices go slightly up if the pair is fancier. Pune-based fashion label, Chirkutt is all about young and vibrant style statements. Score colourful Kolhapuris which have been given a boho twist starting at INR 599. Pair up your beautiful chikan kurti with this elegant pair of Kolhapuris, done up in pink and red, with mirror-work, zari and intricate gold bells. To place your orders, DM them on Instagram. You will find them at many pop-ups and fleas as well. The brainchild of Harshwardhan Patwardhan, Chappers is a homegrown footwear label that designs and sells the classiest pairs of Kolhapuris for men and women. Available in bright hues and intricate embroidery, these Kolhapuris are made of premium leather with soft foam insoles that provide not only comfort but reduce foot stress levels by 60 per cent. Priced at INR 2,600, for both men and women, these shoes are not just chic and contemporary but also provide the comforts of flip-flops. Situated in Tulshibaug houses special collection of Kolhapuris for women. Their designs have taken a cue from various movies and you are sure to fall in love with their collection. Score these gorgeous pairs for as low as INR 300. Pair them up with shalu sarees or kurtis. 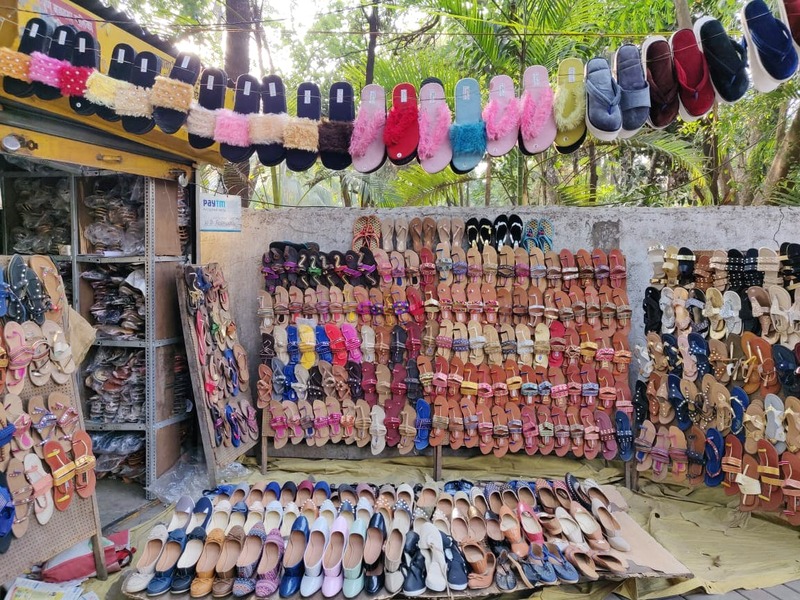 While you might have crossed these little stalls at Lane 1 and 2 in Koregaon Park a number of times, what you might not have known is that they have the coolest collection of kolhapuris. What makes things even better is that you can add colour to your shoe rack just for INR 200 a pair. You could either go for the basic brown hues, or for a bright colourful one or maybe even be a little adventurous and get the ones with floral print or warli art.